The original heat shield that fits to the subframe and steering rack is now often looking quite tatty due to 20 years of radiant heat. The heat shield serves to protect the nylon bushes in the gear linkage quadrant and rods from heat from the exhaust downpipe. As with all the other original exhaust heat shields on the 205, this item is marked NFP, hence we have re manufactured this in stainless steel. Supplied with a pair of stainless steel bolts and lock nuts to secure the heat shield to the subframe, and a stainless steel pop rivet and washer to attach the spring clip to the heat shield. 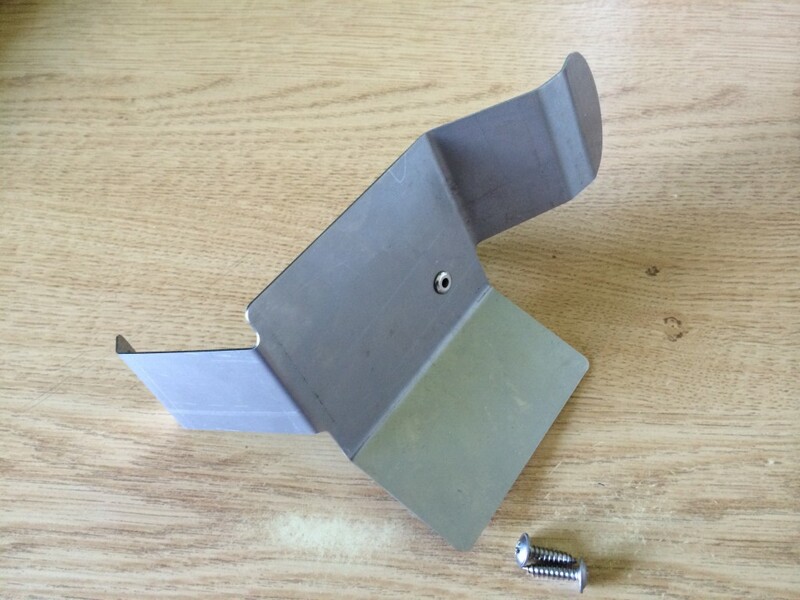 You will need to re-use your original spring clip from your existing heat shield, as this is a specific pressing, and I have not been able to source a suitable replacement that is as heavy duty as the original. Please note that the picture shows the heat shield with the spring clip fitted as an example, but the spring clip is NOT supplied. 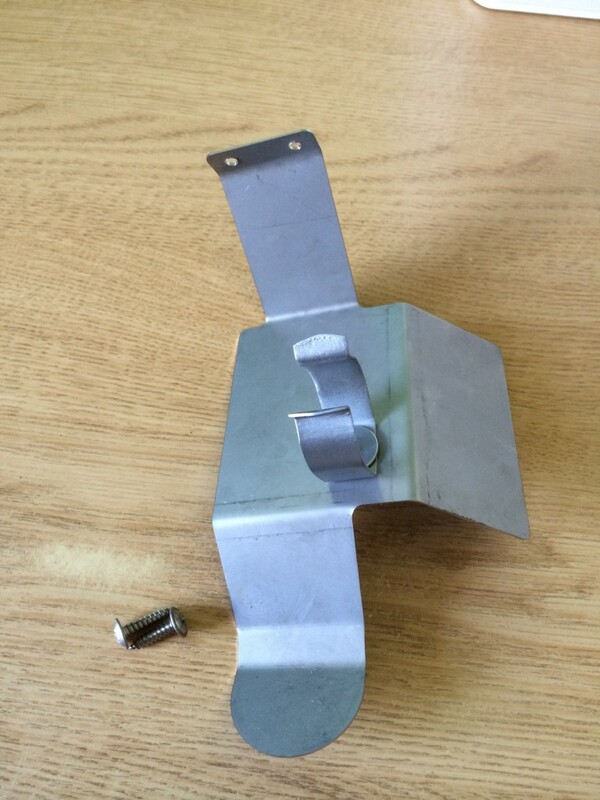 This heat shield is priced at £40 including post in the UK.